A fortnight ago, a little-known 17-year-old Fremantle sailor shocked the yachting world by becoming Australia’s youngest open-class world champion. What made the feat even more unusual is that it was driven — literally and figuratively — by his grandmother. In convincingly winning the World Laser Radial Championships over 10 races in Germany, teenager Zac Littlewood played giant-killer by defeating the veritable Roger Federer of his sailing class, and the regatta’s overwhelming favourite, Polish six-time world champion Marcin Rudawski. Littlewood is already being touted as the next star in Australia’s seemingly endless sailing production line that has produced six gold medals at the past three Olympic Games. Australia also has a huge pedigree in the Laser class for sailing, having won the past two Olympic gold medals in that category. But Littlewood humbly concedes none of his monumental achievements of the past fortnight — in which he beat sailors up to three times his age — would have been possible without his grandmother and constant companion, pensioner Anne Littlewood, 71. Ms. Littlewood said her newly famous grandson was anything but the stereotype of a traditional yachtie. But his key mentor, Australia’s high-profile 2000 Olympics gold medallist and WA Institute of Sport head sailing coach Belinda Stowell, said Australian Sailing would do everything it could to keep him in the fold. What makes the achievement even more remarkable is that Littlewood was out of action for much of this year. Concussion from a freak accident kept him off the water until a couple of weeks before the World Championships. Littlewood is not getting ahead of himself despite his monumental achievement two weeks ago. The obvious next goal is the Olympics, but he refuses to put a date on when that might happen. 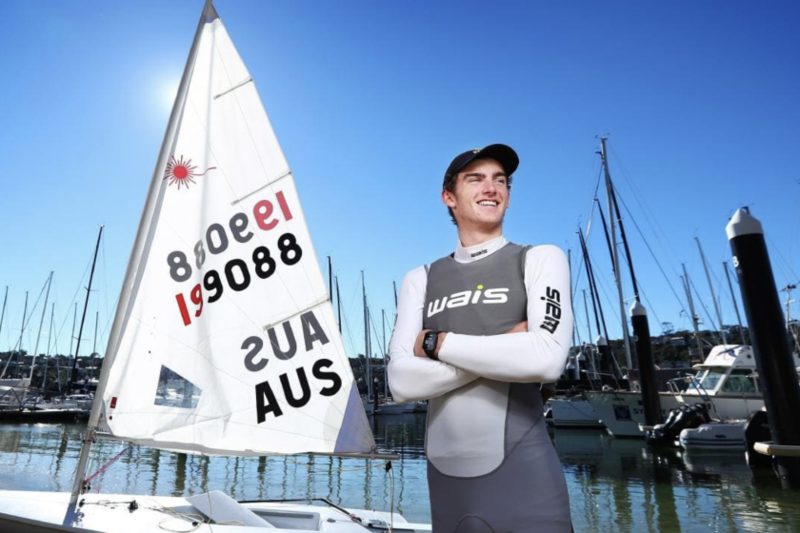 Australia already has Tom Burton, the reigning Olympic champion, in the Laser class, who is the frontrunner to represent Australia in Tokyo. Littlewood has plenty of other things on his plate off the water. Outside of Olympic gold, his other lofty ambition is to become a neuroscientist. But to get the obscenely high marks that requires, he needs to knuckle down to his studies given his time out of action this year.